Greetings again from what is considered a very cool Zambia (18°C this morning), as the depth of our cold season is rapidly approaching! 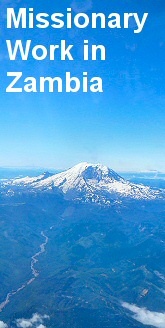 As many of you know I went home for 8 weeks and returned to Zambia in late May. It was really good to see family and friends again and I met so many people, some of whom I already had contact with and others who were new. A big thank you to everyone who looked after or supported me in some way, the warmth of your welcome certainly made up for the cold weather – I was not expecting to see snow in May! Shopping with so much choice was a treat too; I was quite disappointed when I returned to Kitwe to find only 3 types of cheese on the Shoprite shelf after rows and rows of cheeses in Waitrose. I hope I was able to leave you with a flavour of Zambia, which is so impressive in many different ways. As I settle back into my routine I am reminded of the extraordinary commitment to church, family and community that is all around me. I was visited on Sunday by Evelyn, a young widow and leader in the UCZ Girls Brigade. She was asking for my support for 4 groups which she had started in the local townships (about 60 people in all). These were all widows who typically had little income and support, and struggled to feed their children and pay the rent. She visits a different group each day to encourage them in their social and financial struggles. Saturday 12 June is the official launch of these groups and I will be attending with some of the women from Ipusukilo to encourage them. I also had a visit from deacon Kabila this week. 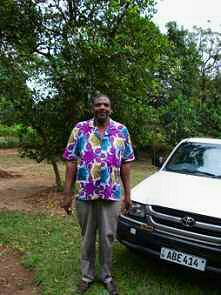 I first met him in 2007 when he was doing a diploma in “orphans and vulnerable children” at MEF. He truly is a gentle giant of a man with a deep voice that could give Barry White a run for his money. He sat talking of his youth in Uganda during the turbulent months when Idi Amin took power, and of his work in Kamfinsa prison. It has been just a year since he and Annie were moved to Chamboli mines to serve a church congregation of 400 – 600 (the number fluctuates not because of lack of enthusiasm, but because of farming commitments as people disappear into the bush for weeks on end.) He was telling us of how he knows most of the church now, having visited nearly all his congregation. This is no mean feat. Not just getting round 600 people in a year, whilst having many other commitments, but some of the congregation live 15 – 20 miles away in areas so remote that it can take 20 minutes to find the house once you get there. Deacon Kabila has no transport other than walking or public mini buses, so, usually with a couple of elders, they get the minibus to the furthest house and make their way back in from there. The congregation is a poor one and can barely afford to sustain the rent on the Deacons house, but when Adrian, the MEF Chaplain, was preaching at the Chamboli church last Sunday, “first fruits Sunday” people brought an offering from the early harvest. This year the church elders had decided it should go to Deacon Kabila. The congregation were able to show their affection by creating mound of produce was so wide and high that it was almost impossible for the back rows of the choir to get out of their seats! And just a couple of days after that uplifting visit I heard the sad news of Audrey Mkuntu’s death from malaria. She was the 9 year old only child of Ignatius Mukuntu, one of the Peace Studies lecturers at MEF who lives just a few houses away from me. Audrey was a bright and popular girl, who, despite being admitted to hospital, could not be saved. With a death in the family Zambian tradition is to clear the house of furniture and have the women sit inside and mourn, whilst the men sit outside until the day of the funeral. A constant stream of friends and family visit to keep vigil with them day and night. We (women) sit backs to the wall, sometimes quiet sometimes openly grieving, sometimes singing and the grief is palpable. The service was this Sunday, and the Seventh Day Adventist church was packed with a huge overspill listening outside. Then we all piled into lorries buses and cars to follow the hearse to the cemetery. The coffin was ceremoniously bourn to the graveside by young girls from her Pathfinders group, and the rest of the church youth organisation marched behind and sang at the graveside in between the various tributes. An emotionally and physically exhausting day (over 2 hours just in the cemetery); with many people returning to the Mukuntu’s home afterwards to convey their condolences. For the generosity of the people and churches back home who undergird Mission Partners with prayer and support. For the tireless commitment of people like Evelyn and deacon Kabila to those who need their support.